"Great for a light summer lunch!" 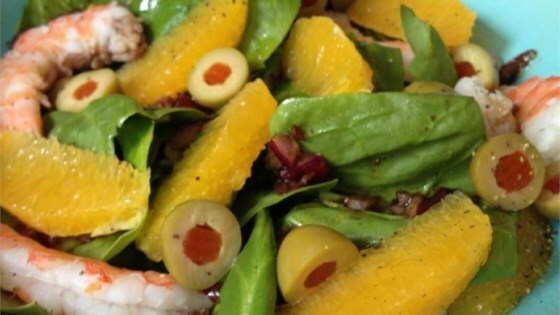 Toss orange sections, shrimp, spinach, and black olives together in a large salad bowl. Drizzle with olive oil and balsamic vinegar and sprinkle with black pepper. Chill salad before serving.